1. To make the chimichurri sauce, add all ingredients to the food processor and pulse just until blended. Do not puree. 2. Preheat oven to 400F. 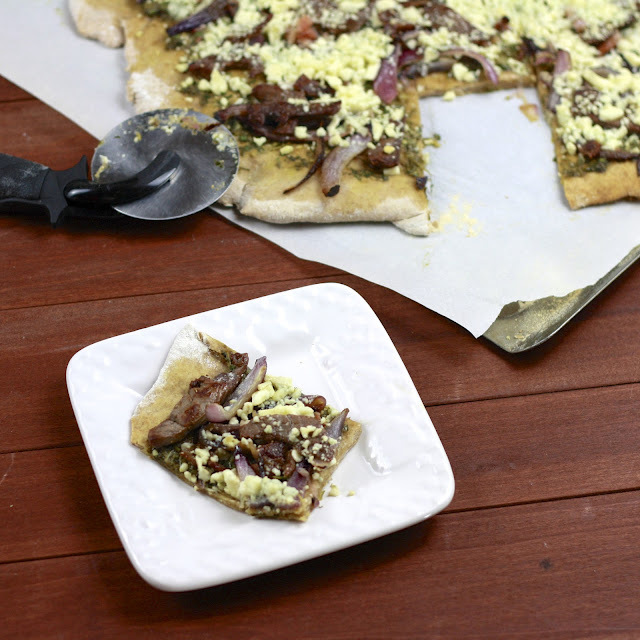 Roll out dough on a parchment-lined baking sheet or pizza stone. Bake pizza crust for 20 minutes. 3. Remove crust from oven. Spread chimichurri sauce over crust. Top with onions, bacon, and steak. 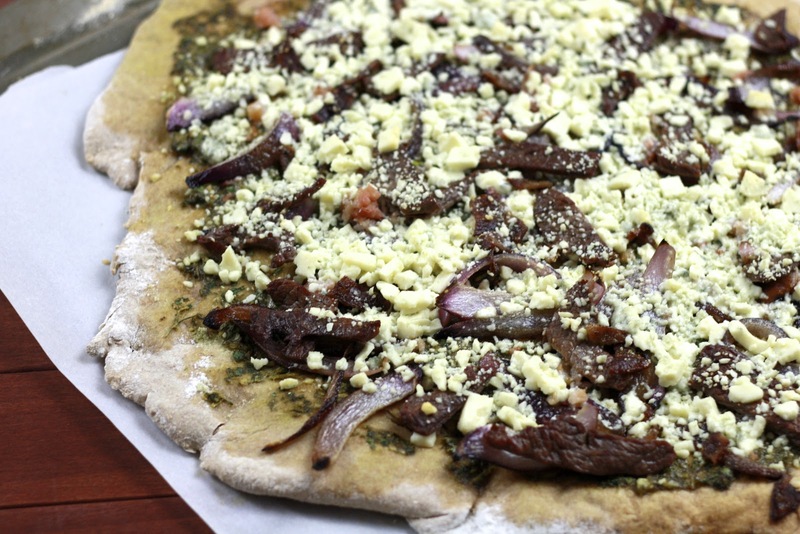 Sprinkle blue cheese all over pizza. 4. Return pizza to oven and bake for 15 minutes. Cut into slices and serve immediately.